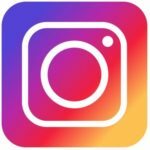 Our Community Connections portal is our way of helping you connect with us, one another, and information. We invite you to familiarize yourself with the features of this key component of our branch. We are founded on the principle that meaningful membership can come in a variety of forms, and that the way we connect has changed. There are a multitude of options to meet, share and engage – choose your favourite or use them all! Media Library: Education videos, Recorded webinars, Vlogs, YouTube, Blogs, and more! UELAC is proud to support the restoration of this Loyalist-significant site. Bridge Annex is managing the ongoing UELAC fundraising efforts, and all donations will be made on behalf of UELAC. As the New Year dawns, we hope it is filled with the promises of a brighter tomorrow. Happy New Year! Thank you for purchasing a pre-paid membership. 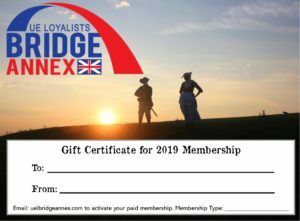 We look forward to welcoming the recipient as a member of UE Loyalists Bridge Annex!